The Tennessee case of Klumb v. Goan, which came down in 2012, is a particularly important case that revolved around privacy laws and wiretapping. The judge ruled in favor of Roy Klumb, who accused Crystal Goan, his former wife, of breaking the federal wiretap act as well as the Tennessee wiretap act by secretly intercepting the husband’s communications. This was a case in which Goan, the wife, used “spyware” that recorded keystrokes, so the Web sites the husband Klumb visited and the text messages, emails, and other documents he typed were all automatically forwarded to her without his knowledge. 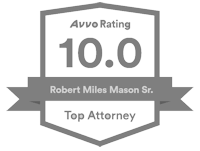 The husband received statutory damages of $10,000 and his attorney’s fees and expenses. This was in accordance with federal and Tennessee laws that statutory damages in wiretap cases can amount to $100 a day for each day of violation or $10,000, whichever is greater. On top of that, however, Klumb was awarded $10,000 in punitive damages because of some aggravating circumstances in the case, one of which concerned their prenuptial agreement. It read that if one of them committed adultery, that person would get one-quarter of the marital assets while the other would get three-quarters. The agreement also stipulated that the property they each had before marriage was not to be considered marital assets. Klumb had read one copy of the prenuptial agreement and signed it; he assumed that the other copy, which Goan was going to keep, was an exact duplicate, and he signed that as well. It came out during the trial that Goan had gotten access to an electronic copy of their prenup, before they were married, through her electronic snooping and had changed some wording on one unnumbered page of it and printed a copy of that page out. After the two signed the prenuptial agreement, she slipped the altered page into her copy. It contained different wording in one critical paragraph: it said that in the case of adultery, the entire prenup would be declared null and void. 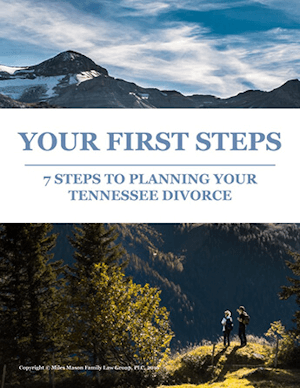 She later did the same thing with another document, an addendum to the prenup, which made it seem that the two had agreed that the assets they had coming into the marriage would also be considered marital assets. In addition, it came out at trial that Goan had used spyware to get copies of Klumb’s emails. With some “cut and paste” electronic manipulation, she made them read as though Klumb were having an affair with the recipient of some of the emails. This case was filled with “he said—she said.” The wife claimed the husband had given her the access password to his work computer, and that meant he hadn’t expected privacy on it, so she had the de facto right, as opposed to a stated right, to install spyware on it. He said that he had never given her the password. It came up at trial that she had gone to the office at night, when the office was shut down but the computers were running, to install eBlaster spyware. The court assumed that even if the husband had wanted wife to have access to his computer, that did not give her the right to install spyware and then access his email account, protected by a password, through the spyware. The wife declared she had put spyware on the husband’s computer to monitor his son’s computer behavior, but it came out in court that the spyware she had installed didn’t contain any “limiting” programs that would have allowed an adult to actually block a child’s access to certain sites; they simply recorded it. She also claimed that her husband had given her permission to install the spyware because he was worried about business competitor who might be computer hackers, but the court didn’t believe her. There was even some debate in court as to whether the husband, in a mediation attempt, had agreed to drop his wiretapping complaint against the wife in return for her lowering her settlement demands. It was a major mess. The wife’s schemes started unraveling when the husband discovered the spyware on his computer. The case involved issues of consent, implied and explicit, about access to computers, about hacking into documents to change them for the benefit of one of the parties, and also about intercepting and altering emails to make one party look guilty of adultery for the benefit of the other. Goan was fined for two reasons: for violating state and federal wiretap laws by using a spyware program without permission, and also for trying to use the evidence she intercepted in her divorce proceedings, which aggravated everything. 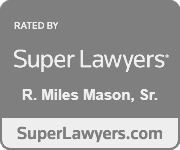 She had done so for material gain, to get a better settlement, and that resulted in her being assessed punitive damages. No one knows if this 2012 case is going to become a landmark decision in the area of electronic surveillance or if it will be superseded by another case across the country. The complex laws about electronic surveillance can and will change, so the takeaway is never engage in such activity, no matter how tempting it is and no matter how computer savvy you or someone you know is because it could backfire—and on you. You could find yourself charged with a felony. You could seriously alienate a judge by what might be construed as unethical behavior, even if it’s deemed legal. Such an attorney can advise you on hiring an ethical, knowledgeable, and experienced private investigator or computer expert. You should never hire one yourself without your lawyer’s advice, because anyone who breaks any “snooping” laws on your behalf could get you into just as much trouble as if you had done the snooping yourself. On the other hand, if an investigator or computer forensics expert is working under your lawyer’s supervision and direction, this could give you some protection against being charged with breaking the law. 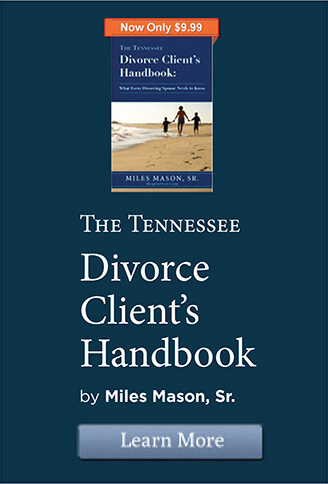 Memphis divorce lawyer Miles Mason, Sr., JD, CPA practices family law exclusively and is founder of the Miles Mason Family Law Group, PLC, which handles Tennessee family law matters including divorce, child support, alimony, prenuptial agreements, child custody, parental relocation, child support modification, alimony modification, and divorces including business valuation and forensic accounting issues.